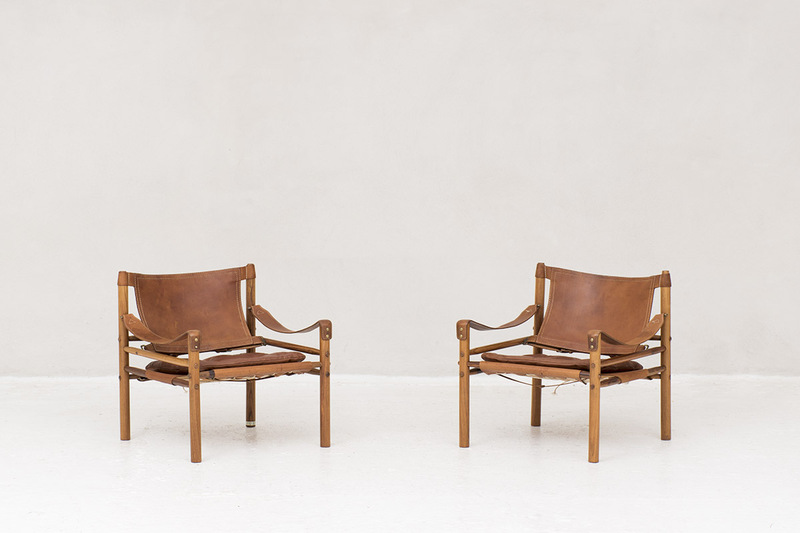 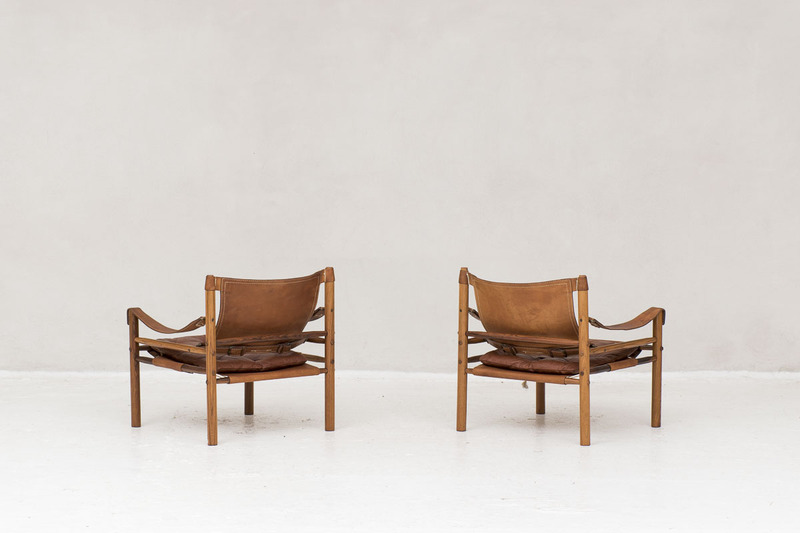 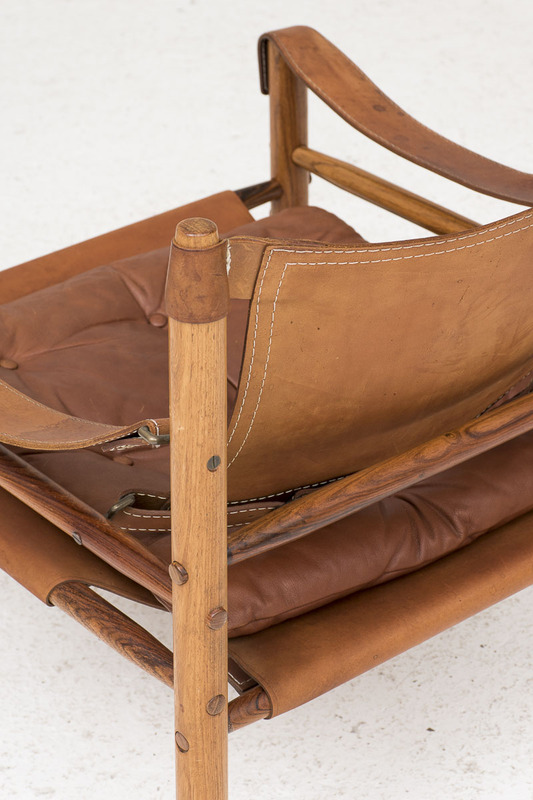 Set of 2 Sirocco easy chairs designed by Arne Norell and manufactured by Norell Mobler AB in Sweden in 1964. 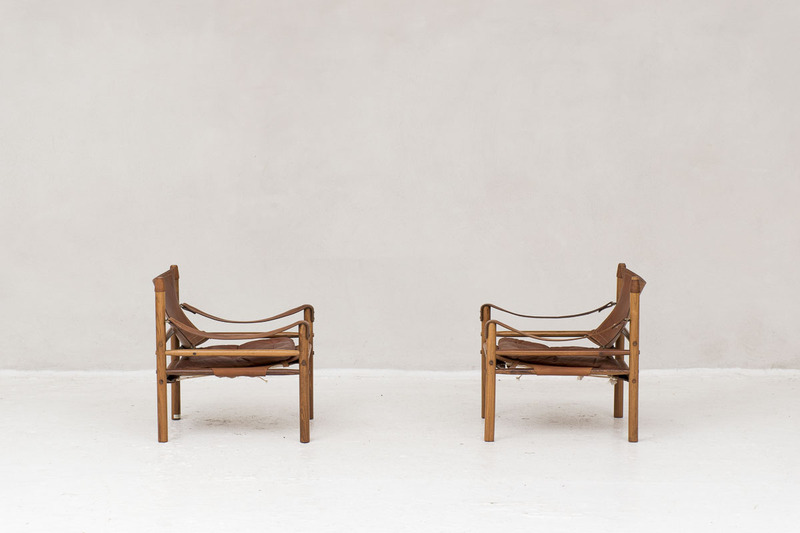 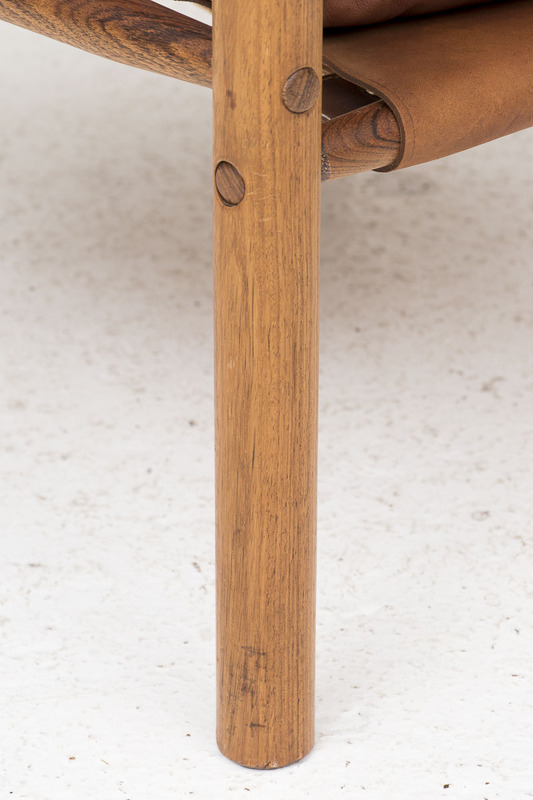 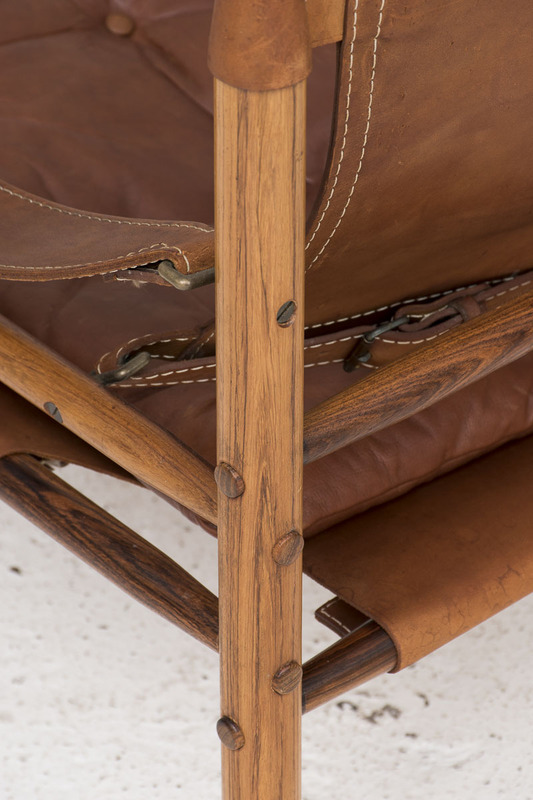 These chairs have a grained solid rosewood frame that is beautifully jointed together. 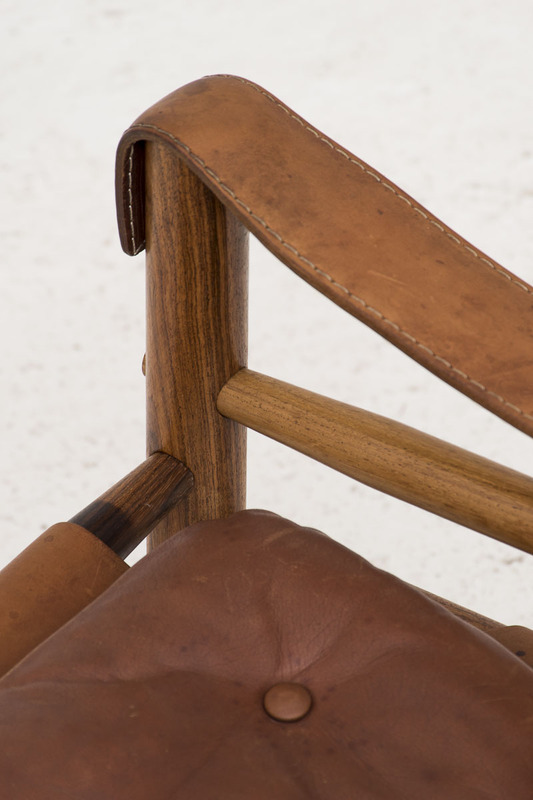 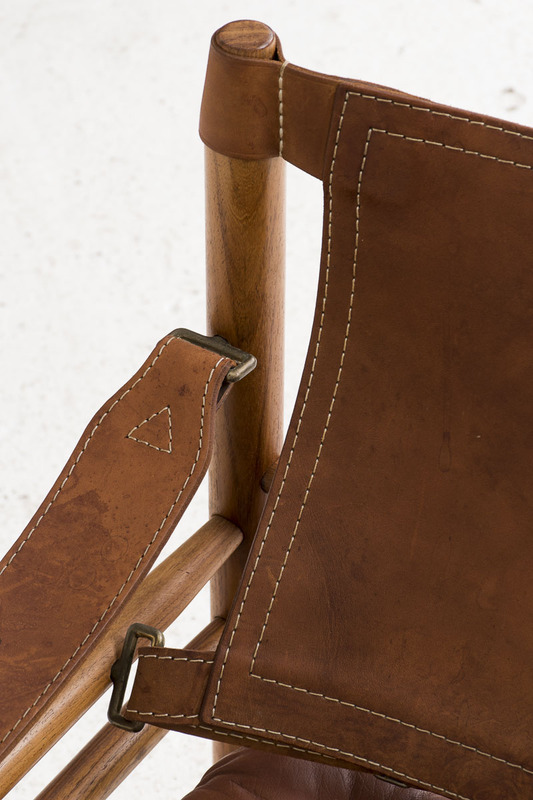 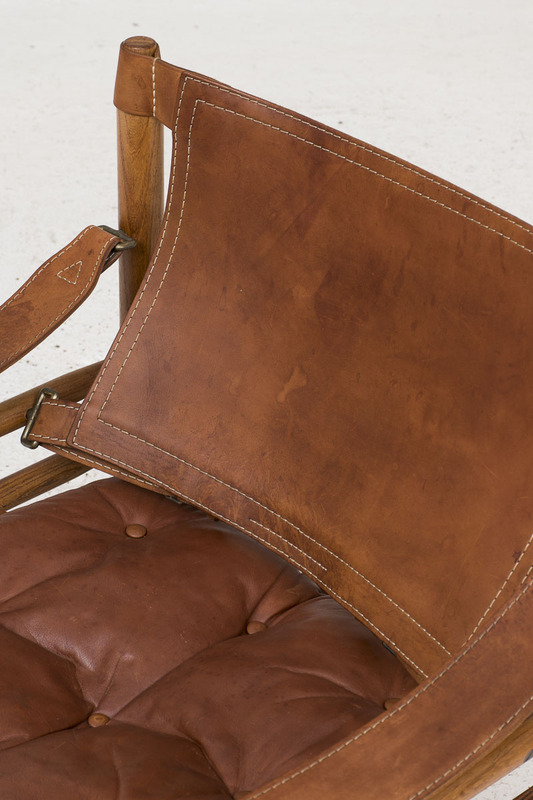 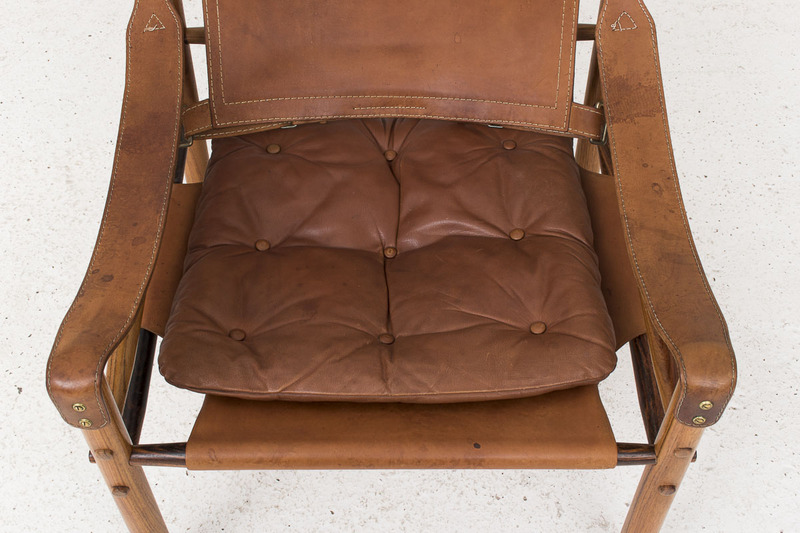 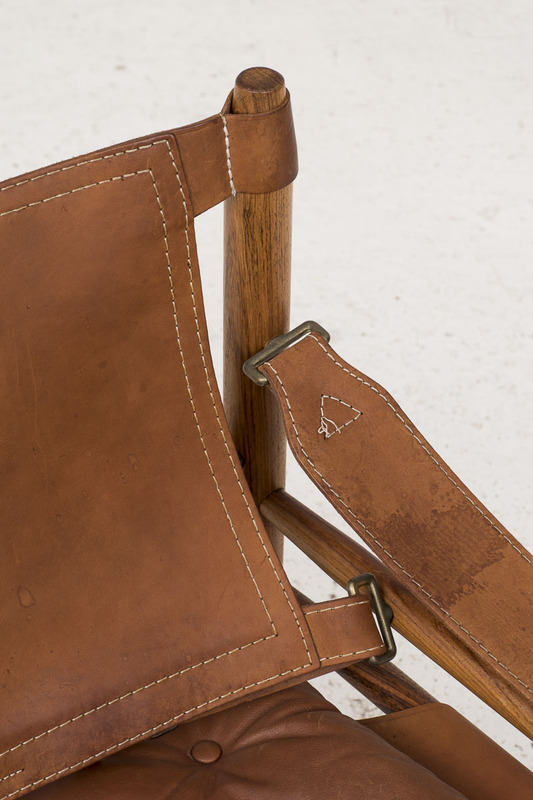 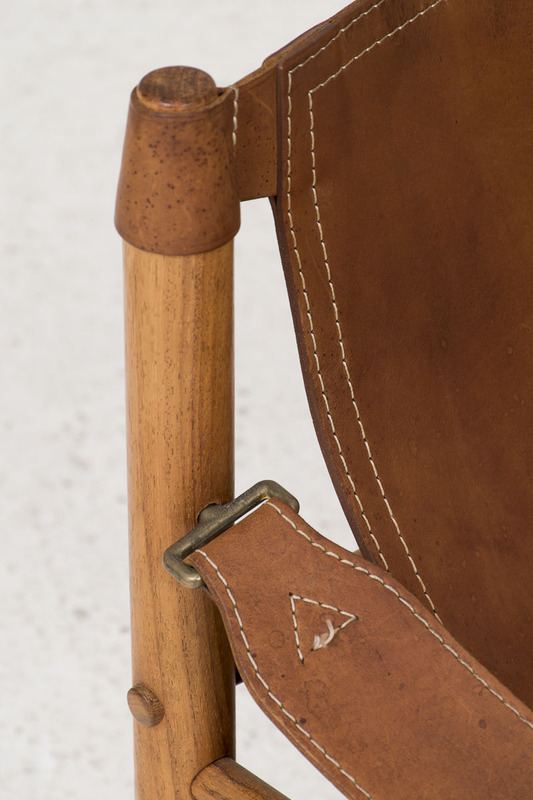 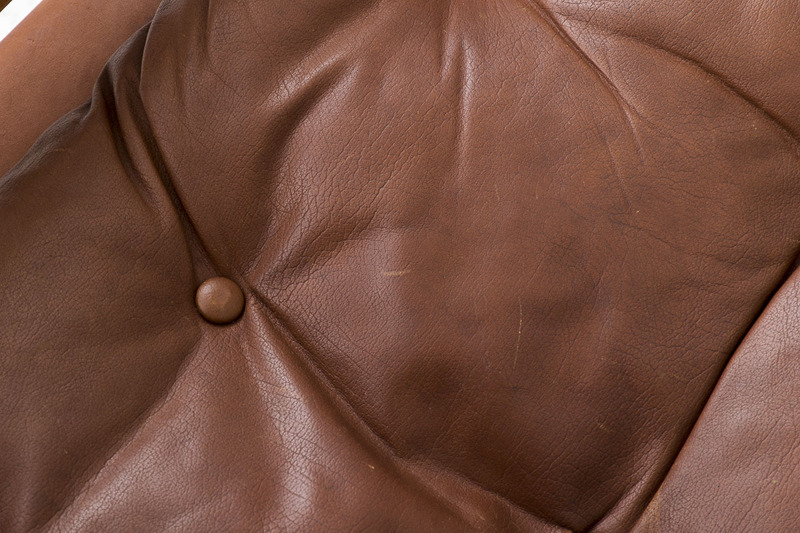 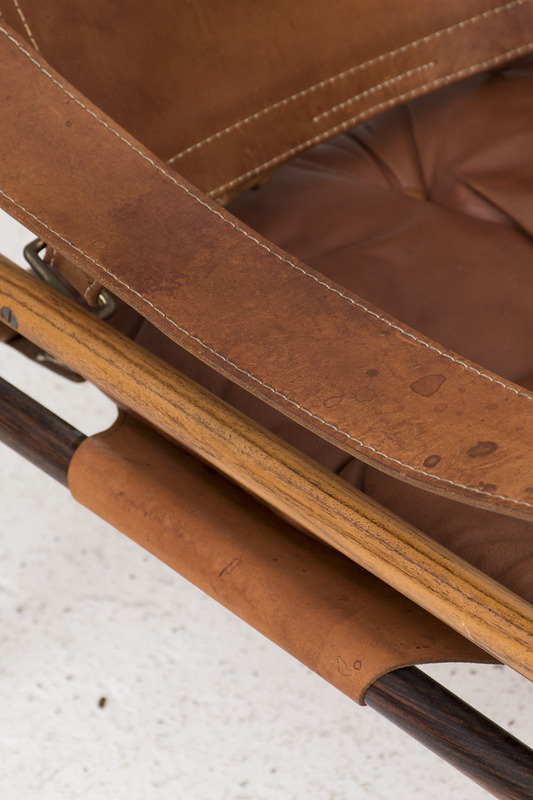 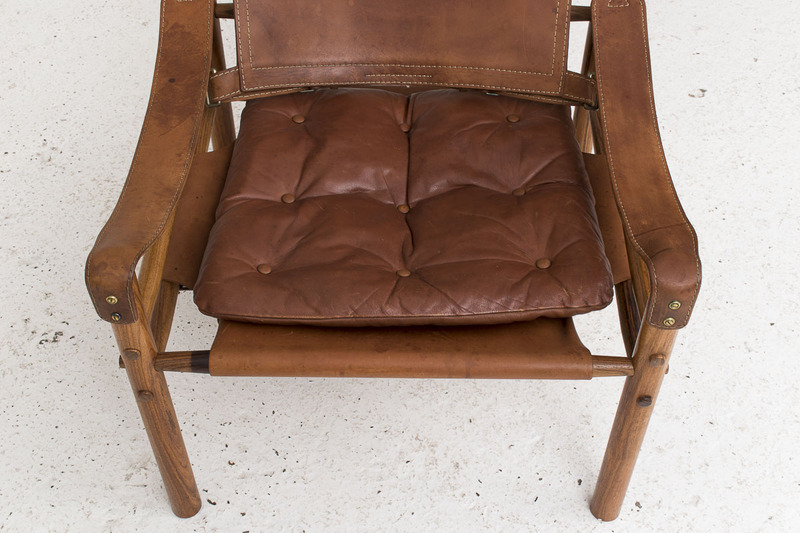 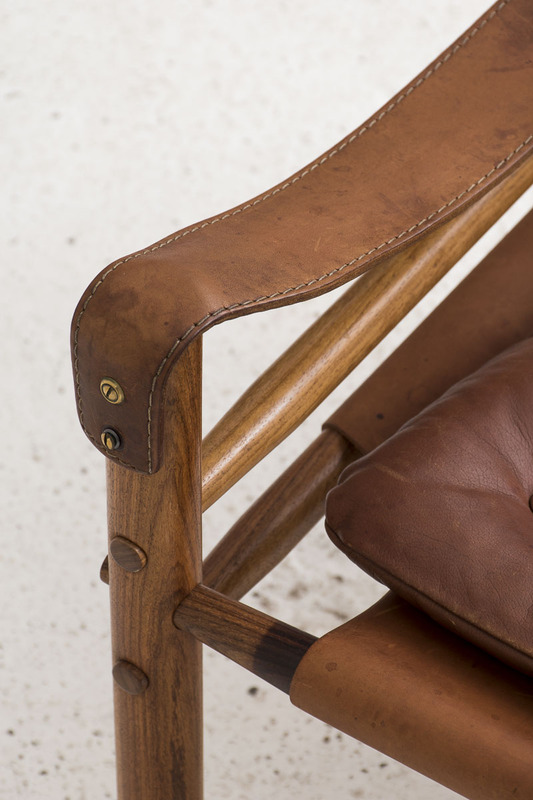 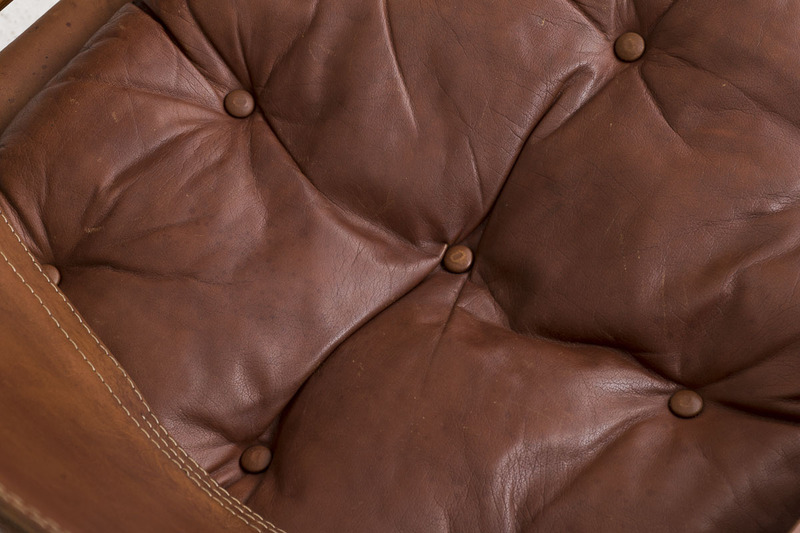 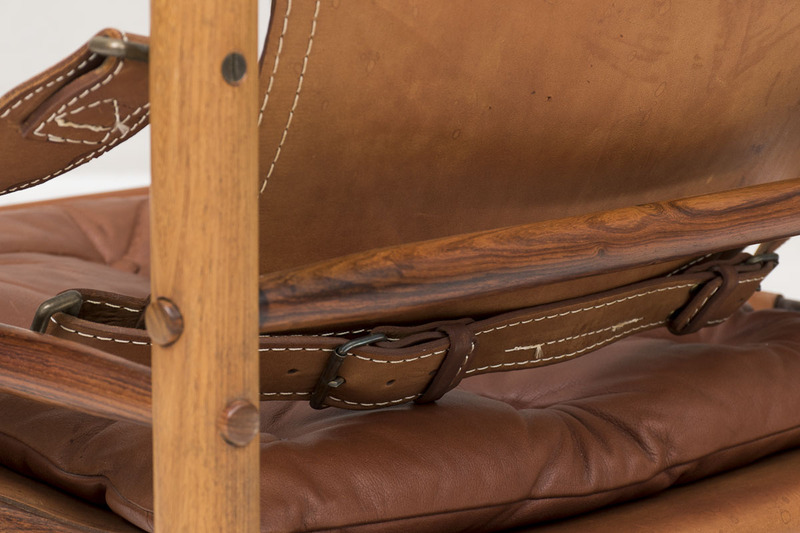 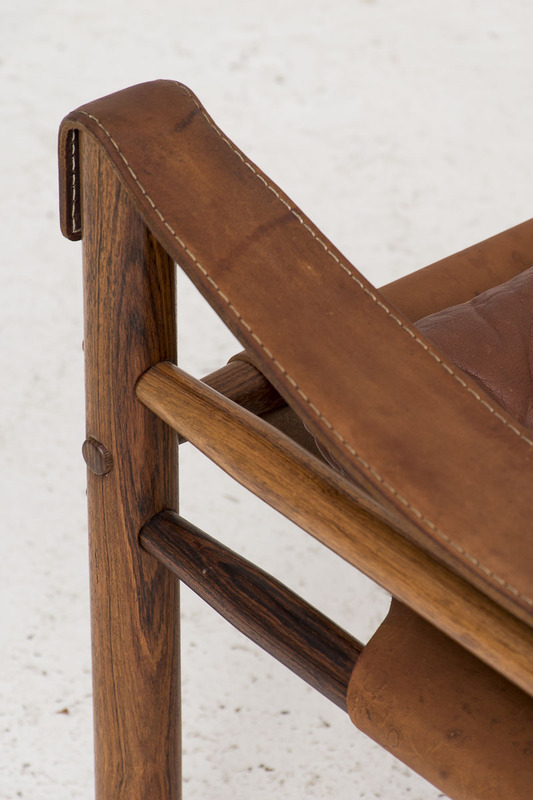 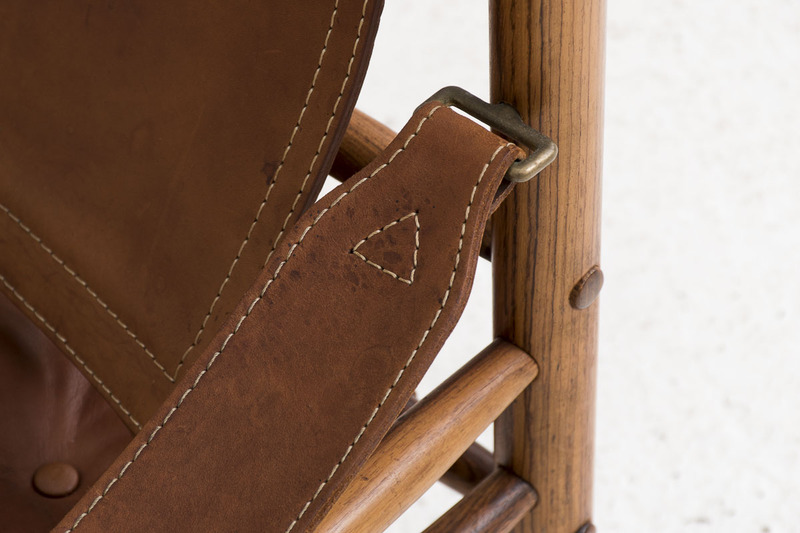 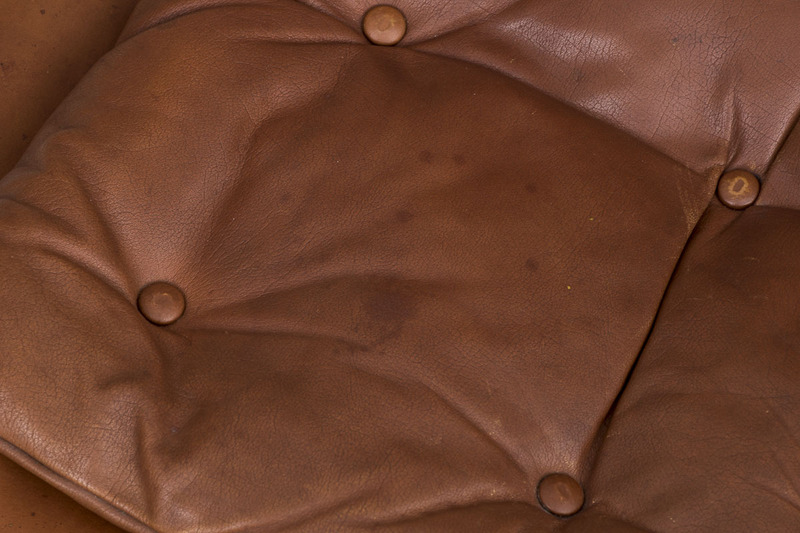 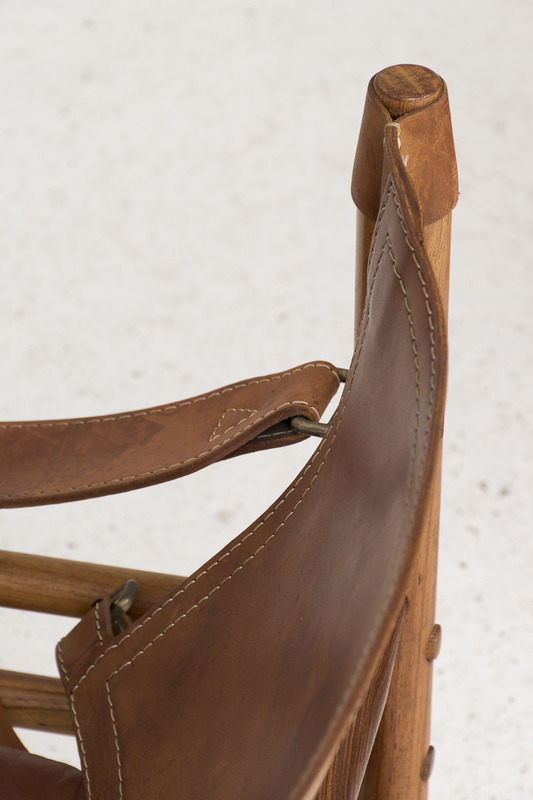 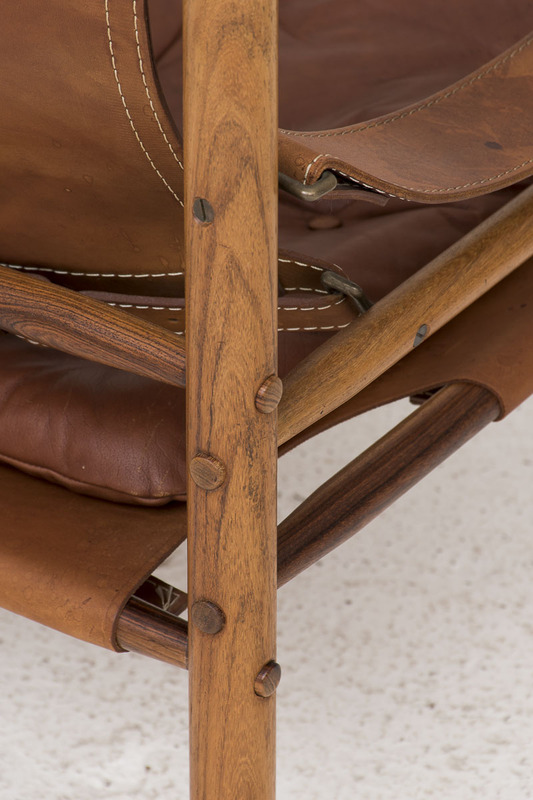 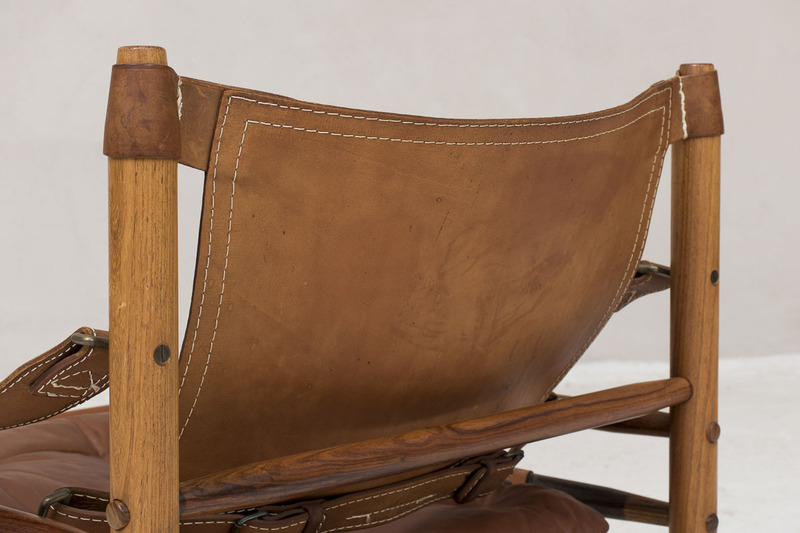 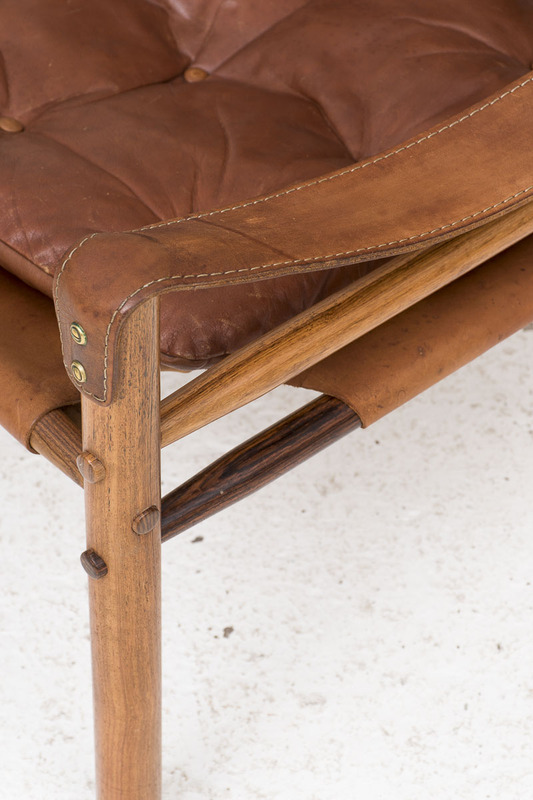 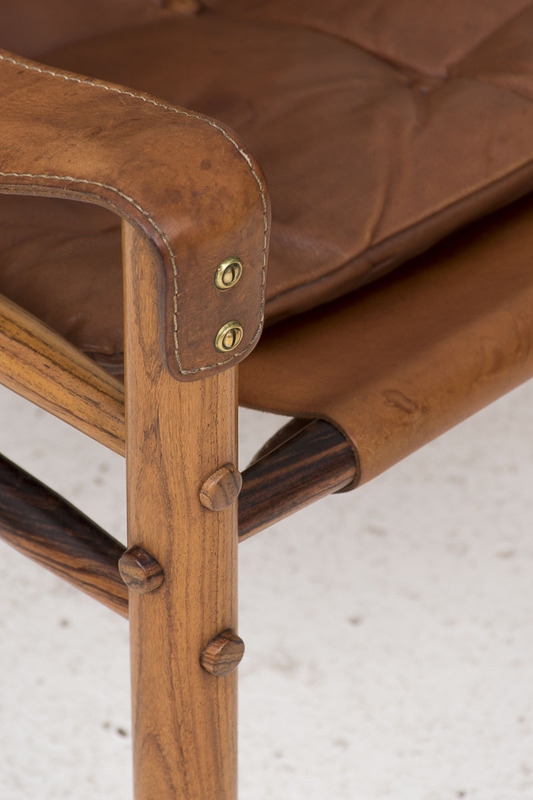 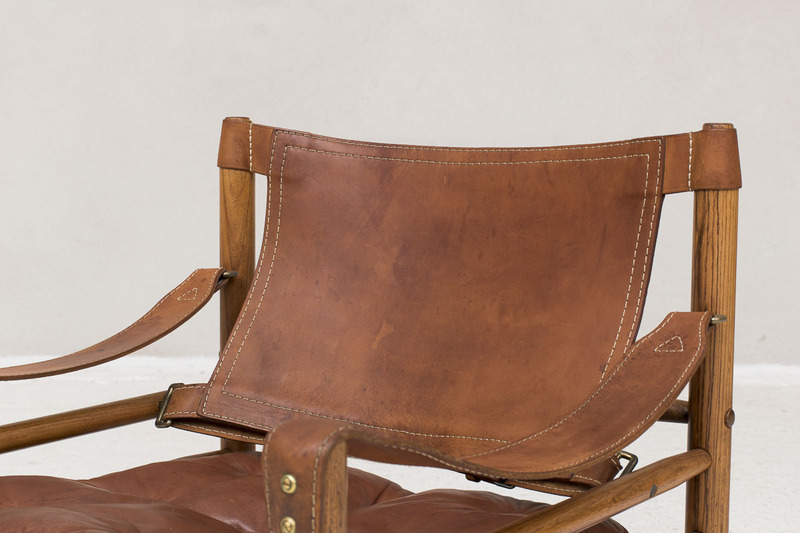 The brown leather seats and armrests have brass finishes and white stitching. 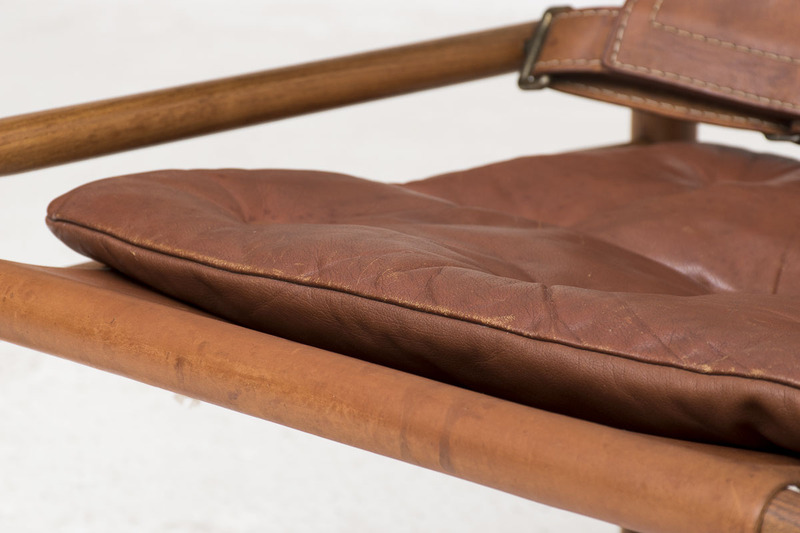 Light wear consistent with age and use.